Click on the images for a larger view. 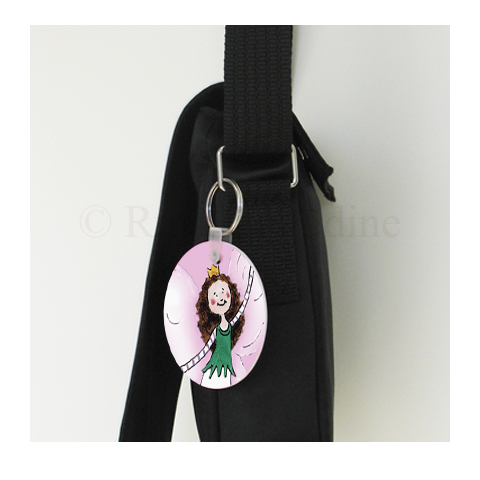 The small size personalised shoulder bag features Fizzy the Little Fairy and a fun fairy swing tag too! 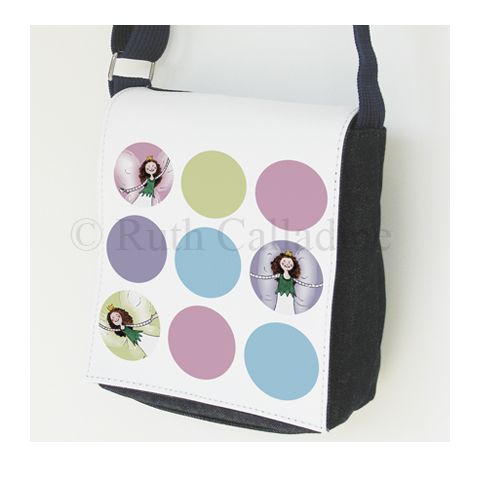 Children love these dotty bags and they're perfect for taking on a day trip. 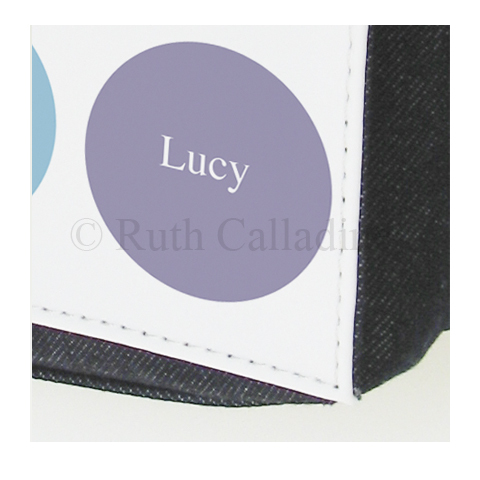 Inclusion of your child's name is optional and will appear in the bottom right hand corner dot. Choose from red or black material for the main body of the bag. Bag details: detachable front flap, fully lined, zip fastening under flap for security, adjustable shoulder strap, approximate size 18cm wide x 21cm tall x 6cm depth.